I’m a passionate aromatherapist who has been creating magical concoctions for around 17 years. Or rather, they create themselves and I observe the process. I have always been smell-obsessed and overly smell sensitive. I remember smelling all the bottles in The Body Shop, back in the UK in the 70’s, when I was a child. I loved the way its founder, the feisty, vibrant Anita Roddick started the business in her garage and was transparent about the ingredients she was using. (Sadly it’s now owned by L’Oreal, but it had very well-intended beginnings). At the end of the late 90’s, I started to create aromatic combinations intuitively (and very unexpectedly) for myself and as gifts for friends and family. This continued for a couple of years where I would have a conversation and immediately I intuitively saw a combination of what would be helpful for that person in an oil blend, aromatherapy spray or combined with bath salts. No thought process involved, just a fully formed recipe. I saw the person’s energy system and a particular chakra or two would appear more prominently with words, visuals and often animal totems. I may also hear a piece of music or certain lyrics for a person, related to that combination. I felt as though the essential oil was communicating with me and had a personality. Now I know it’s true. It was rather disconcerting as I saw the person’s energy field clearly and then literally saw ingredients flying into a bottle. The combinations were never based on smell preference, but more of an energetic synergy to support what was happening in their energy system. Sometimes I thought ‘that’s a weird combination’ but it was so clear that I just went ahead. I created these as gifts but then when I started to have strong feedback about how helpful it had been, how much better they felt, big realisations they’d received and I also experienced huge shifts for myself. The most interesting comments were when people said “I felt so resistant to the smell, but then had a huge release”. Funny that! I started to receive requests for personalised products. One night I asked myself in 2003 what I most needed and boom! 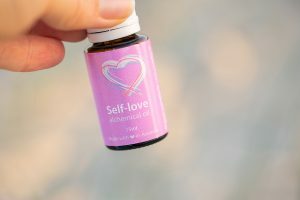 Self-love Alchemical oil was created which then marched me down a very intense path of 9 years creating 33 alchemical oils. I spent the majority of this time in a rather hermit-like existence, releasing friendships, relationships, all manner of patterns, belief systems and karmic contracts. 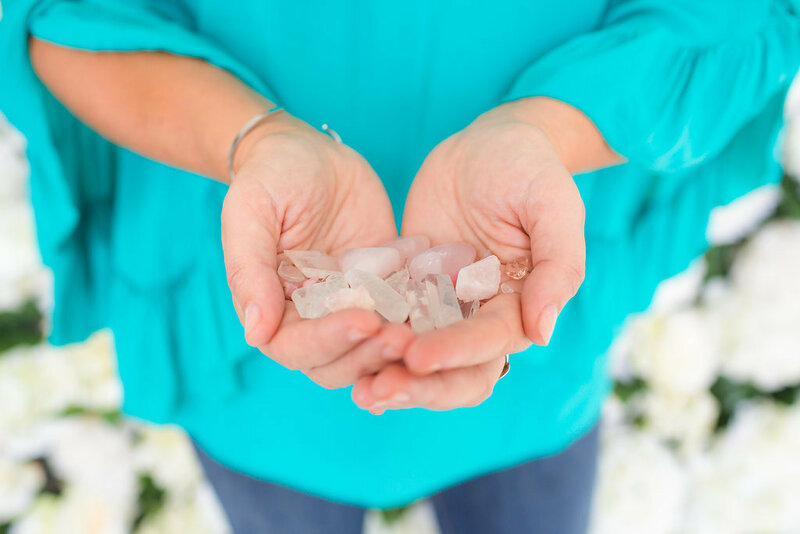 This spiritual and creative aromatherapy practice seemed to be leading me down a mystical path and so professional training was the next step, so I could marry my intuition and create a strong foundation. It’s also important to me to be ethical and genuinely in a position to give helpful advice. It was the best decision I ever made, in marrying my intuition with formal training to build upon. I would not have felt comfortable in sharing with others if I was not qualified to do so. Essential oils are extremely potent and are approximately 60-70% more concentrated than the original source. I created personalised sprays with all sorts of witchy goodness including vibrational essences, which I’ve always loved. I charged them in crystal grids always used certified organic where possible and purchased from local providers. However, it has been a pet peeve of mine for years that in wanting to use all natural, safe ingredients in my products that it reduced choices dramatically. I ordered one from a wholesale essential oils company and was shocked at the ingredients when I read the Material Data Safety Sheet. I emailed the company with their list of ingredients, saying surely this cannot be right? How can I use this and feel comfortable giving this to clients with these toxic ingredients? The response being that these were such tiny percentages that any problem was unlikely. As we know, toxin overload and build up is accumulative. As I use mainly organic ingredients, energetic healing and vibrational essences, I did not see the logic, in including something synthetic that that it is going to be a large part of the product. I ruled it out straight away. Many solubilisers on the market are actually petroleum based. You often see natural perfumes, that are completely alcohol based, using ethanol (an alcohol distilled from plant based materials, such as sugar cane). So if you want to find something that is alcohol free and all natural it’s not as easy as you may imagine. And even if they are using good ingredients, they may use a cheap synthetic preservative to prolong the shelf life. The directions are usually to use a ratio of between 3:1 (parts solubiliser/essentials oils) up to 10:1. So I continued to make them purely for myself or friends but never went down the route of having them labelled for sale. Periodically I investigated and asked lots of questions of personal care companies about what they recommended using as an eco-friendly solubiliser and could they give me any advice. I said quite openly I’m an aromatherapist, who is looking to use the most natural form of solubiliser possible and could they recommend any manufacturers. The majority were very tight-lipped if they even did respond. It was VERY difficult, aka impossible, to get honest, transparent input on the topic. Why are people so secretive if they are happy with what they were using? What is there to hide? I saw aromatherapy sprays in health food shops and contacted manufacturers to ask them what they recommended as more often then not, that ingredient was not listed on the label. I knew they were using one as it was a cloudy, milky mixture with no oil floating on the top – a normal reaction. 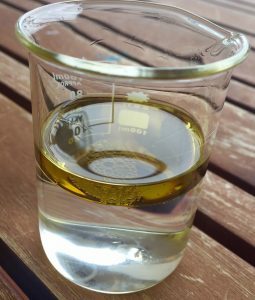 Depending on the oils used it IS cloudy when the solubiliser has been added to the water component. You can have clear combinations but it seems to only be when a high percentage of a synthetic solubiliser has been used. These were often popular brands who just didn’t respond to any emails. Or on the VERY rare occasion that I received a response it was on the defensive side, wondering why I wanted their formula (I didn’t), or ‘this is intellectual property so I can’t say’, even though they are obligated to display ingredients on the label. So I guess it’s a case again of ‘be the change you want to see’. If you want people to be more transparent, then share your transparency…. As you know, oil and water do not mix. A spray is water-based and if you want to add essential oils to any concoction, you will see that the oils sit in a thick layer on top. Now this is fine if you are creating for your own personal use as you can just shake the bottle before using. The water base may be floral waters, hydrosols or purified water. However, with essential oils being naturally volatile chemical compounds, they are going to eventually clog up the tube and/or gradually eat away at the plastic in the atomiser component of the spray. So if you are creating products for retail use and you don’t know how long they are going to be sitting on a shelf, this is a concern. It’s also not a good look. You don’t want that leaking into your beautiful product do you? Therefore you need to use a solubiliser. The solubiliser is usually the SECOND LARGEST INGREDIENT in volume after the water base. Yes that’s right – the second largest ingredient. So surely you would like to know what this is? With the rise in popularity of aromatherapy sprays in the last couple of years I again decided to explore the market and do some research. So many ‘spiritual’ businesses make claims of creating ‘high vibrational’ products. Yet they are not transparent in what they are using and are misleading, even if it IS included in the ingredients. Often the solubiliser is listed as the LAST ingredient, indicating that it’s the smallest in volume. Impossible. Can you feel the disconnect? Most companies use synthetic solubilisers (such as polysorbate) yet still claim they are using the purest of ingredients. Based on endless research again in the last year or two, I was delighted to discover a couple of natural options that are created in Europe. Ok they are not perfect and there are still certain aspects of them, that my purist nature does not feel joyous about. I think they are great options if you are creating a shower or bath gel or liquid hand-soap for example. Not as effective if you are creating a spray, unless you want to use a large quantity but then it has a sticky texture, as their consistency is like a serum. I have also noticed that some people put ‘vegetable glycerine’ in their spray ingredients but apparently, that is not helpful as it changes the polarity of the water and can make the combination less soluble, not more. I’m still experimenting with ratios. However, I can at least feel comfortable that the ingredients are NOT synthetic and/or toxic. I’m currently playing with one from Dr Straetmans GmbH and one from Soliance. So I’m delighted to share with you the first in some forthcoming Alchemical Mists. The first one is called “Magic” which seems particularly fitting after such a LONG gestation period before birthing into the physical realm. I am using the solubiliser from Dr Straetmans, which is predominantly capryl glucoside. As you can see here, according to the EWG Skin Deep Database, this has a very low possibility of toxicity. See the photo to the right, here’s a mixture using the Dr Straetmans’ solubiliser. I received some advice, from a super helpful Cosmetic Chemist, Amanda Foxon-Hill, for which I’m very grateful. 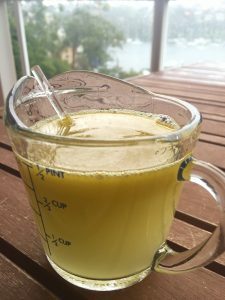 As you can see, this looks like a tumeric latte, but it’s the lime and bergamot essential oils that create this greeny/yellow colour 😉 I have also used a natural preservative here, Sodium levulinate. I am experimenting with pH levels and feeling like quite the mad professor with my pH meter. Every water based/essential oil combination is going to require varying levels of solubiliser, because they are all different. Natural solubilisers are much more expensive too. It is all about personal preference. What is most important to you? Does the product serve its purpose? Do you prefer something that has a long shelf life, a clear consistency and is predominantly synthetic, regardless of the marketing and pretty label? How much does this matter to you? I’m more interested in substance that superficiality, so I can put up with a cloudy mixture. I am not so interested in a long shelf life as I use my products as part of my daily rituals. So they are not sitting in a cupboard or on a shelf for months. I hand make small batches only in a beautiful ceremony with intention. I will continue to update this page with details of my explorations and share what I am discovering, so we can learn together. I do hope you found this helpful. Have you experimented with different ingredients in this way?